Because of its supposed similarity with traditional grains it was decided to ‘outlaw’ it, much like rice. How similar is it. Looks a bit like chick peas or lentils which are genuine legumes/kitniyot but that does not make them like grains. Do farmers of quinoa also harvest traditional grains? Is there a real danger of the scenario depicted at the beginning of this post actually occurring? or is it rabbinical authority trying to reach too far? Here’s a thought: Under Ezra Hasofer there was enacted a decree that men should bath regularly in a mikveh. The populace found this decree too hard and therefore it ‘fell by the wayside’. I am not advocating mutiny but if the (orthodox) contemporary populace were to find this new addition to the list of kitniyot ‘too hard’ what would be the OU’s response? The argument between Rav Belsky and Rav Schacter comes down to an argument between the spirit of the law versus the letter of the law. We wait to see how this will pan out. This is still a debate in progress. Wishing you all a Kosher Pesach v’same’ach. It’s not about spirit or letter. There is no such thing as spirit if the law when it comes to a Gezera. Furthermore, the argument about flour is a non starter. Have you seen potato flower … the Chayei Adam wanted to ban potatoes as well, but his view was not accepted. The Chayei Odom did not want to ban potatoes. This is a baseless myth. And the fact that quinoa is a seed and not a grain is irrelevant. The exact same thing is true of buckwheat, which is the ultimate in kitniyos. I see no grounds at all to distinguish between quinoa and buckwheat, unless one accepts R Moshe’s chidush that the issur applied to specific species, rather than categories, and therefore any species that wasn’t know then isn’t covered. This has several problems with it. First of all, it would exclude corn, which all the acharonim who knew of it agree is kitniyos. I think R Moshe may not have known that corn is a new world species. The Marcheshes also says explicitly that the gezera was against broad categories of species, even if the reasons don’t apply to some members of those categories. The Melamed Leho’il writes that peanuts are kitniyos, though he was willing to permit their oil if the rabbonim of Hamburg and Posen would join him. I’m not sure your analysis of R’ Moshe is correct. He was never going to argue about Kitniyos upon which there was already an existing Issur. Rather, on new items, he was not prepared to Assur them based on his analysis of what he thinks the Issur was. I don’t see that as illogical unless one assumes Chadash Assur Min HaTorah. R Moshe’s whole claim is that the issur was on an arbitrary list of specific species. That’s why he says no new species can be added. If that is so, then corn must be mutar. How can corn be assur, leshitaso? You say “he was not prepared to asser” new items. It was not up to him to asser. Nobody asked him to. Either they are already assur, or they are not. He was asked about peanuts, and he reasoned that they aren’t assur because they weren’t known when the original issur was made. If so, then corn must not be assur either. I think he simply didn’t know that corn is a new world species. Otherwise his whole theory makes no sense. His proof from mustard falls apart as soon as you see the Taz. And his whole shitah, that the issur was on specific species, is explicitly contradicted by the Marcheshes, the Melamed Leho’il, implicitly by the Taz, and several other sources that I can’t remember offhand. Peanuts and Quinoa however were new beryos for him so he felt ‘free’ to pasken without any monkey on his shoulder. those who feel comfortable with the Star K position eat to your hearts content, those who follow the OU wait until after Pesach. Exactly. It’s just like any other machlokes between poskim; de’ovad kemar ovad, ud’ovad kemar ovad. Just don’t go kula-shopping. If you accept a posek’s kulos you have to accept his chumros too. I have Piskei Rav Belsky and I was astounded at the number of Poskim where he quotes opinions for and against and then says the oilom seems to have accepted this opinion. To me, this isn’t what I look for in a Posek. 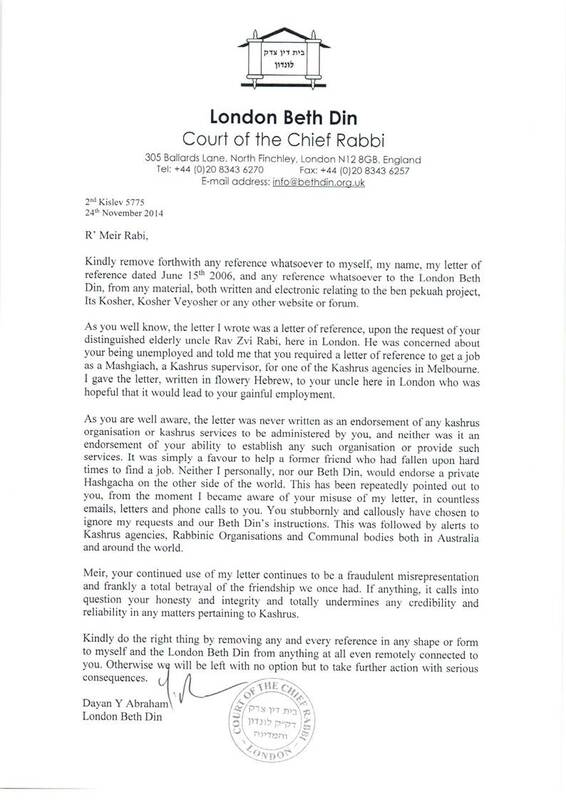 Rav Schachter almost always decides based on clean Psak. Only occasionally (if there is some chashash D’Orayso does he not pasken in the way he thinks is oysgehalten. This isn’t a about Pesach. Rav Belsky (and many others) do this a lot.